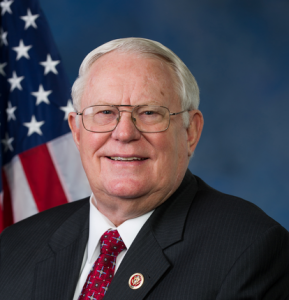 Congressman Joe Pitts is set to retire next year. The ten-term representative, who began serving in 1997, will not seek re-election in 2016. Earlier this week, Democratic candidate Christina Hartman released a list of new endorsements. “Congressman Joe Pitts served the 16th District, our Commonwealth and the entire nation with honor and distinction for decades. With Washington, D.C. being known as a place of gridlock, discord and fierce partisanship, the people of the 16th Congressional District were lucky to have a true gentleman representing us in the Capitol who was deeply respected for his honesty, values and views. Congressman Pitts is someone I consider a principled leader and I wish him and his family well in any and all future endeavors. Do not underestimate the degree of discontent of the grassroots with Val DiGiorgio Establishment network of cronies. Two of the five Democratic appellate candidates won in ChesCo: IBEW 98 financed Kevin Dougherty and Christine Donohue. Union influence in ChesCo Republican party is surprisingly strong. Like Pat Toomey and Gleason Asher run state party, Val DiGiorgio has alienated the conservative grass roots who are becoming more and more disaffected from the Republican Party. The grassroots is strongest in the southern part of the county and in the PA 16. Would a gay lover for a male congressman be a “mistress”? GulagPittsburgh: Right, because it’s so shocking that a 76-year-old man who has been in Congress for twenty years would retire. When does the news story drop that this “family values, christian GOP guy has a mistress and is paying off his gay lover with money embezzled from his campaign funds? State Senator Lloyd Smucker should run for this seat. Smucker would win the primary easily. He is much more moderate than tea-bagger Scott Martin. This makes the seat a lot better prospect for Dems. The GOP could have a costly primary and damaged candidate. They may get some tea party extremist that can’t win a general. It’s going to be tough, but open seat is easily worth 5 points. Good riddens! However, this remains a safe Republican district, regardless of who the Republican candidate is.